Here is a map shows territory of Japan. actual map capitsls of Japan of Tokyo calibrated presented. 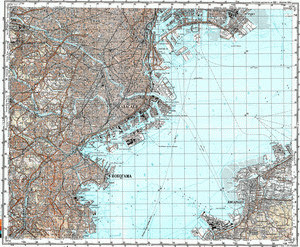 interesting map of Yokohama-shi и OziExplorer calibration this. detailed map of Kawasaki with gps calibration this. actual map of Shinagawa-ku with gps calibration download for free. topographic map of Chofu 1 cm to 1 km download for free. topographic map of Kisarazu и OziExplorer calibration free download. topographic map of Komae 1 cm to 1 km for Garmin. topographic map of Yamanouchi with gps calibration displayed. interesting map of Ueki presented. free map of Totsukacho и OziExplorer calibration for you. topographic map of Terabun for gps. topographic map of Susaki with gps calibration download for free. actual map of Shiomidai calibrated this. free map of Shin-yoshidacho for Garmin. actual map of Shimo-kodanaka calibrated for Garmin. interesting map of Shimbashicho и OziExplorer calibration free download. free map of Setagaya 1 cm to 1 km for you.